Manchester United will turned their attentions to England and Spurs midfielder Eric Dier once they confirm the signing of Everton striker Romelu Lukaku, according to the Telegraph. Lukaku’s move to the Red Devils, which is expected to be announced soon as reported by the Telegraph, has meant that any deal for Chelsea midfielder Nemanja Matic will not go through. As per the Telegraph, Chelsea were already wary of strengthening Premier League rivals United with the sale of Matic, with boss Jose Mourinho now knowing that any chance of a deal for the Serbian international has gone. 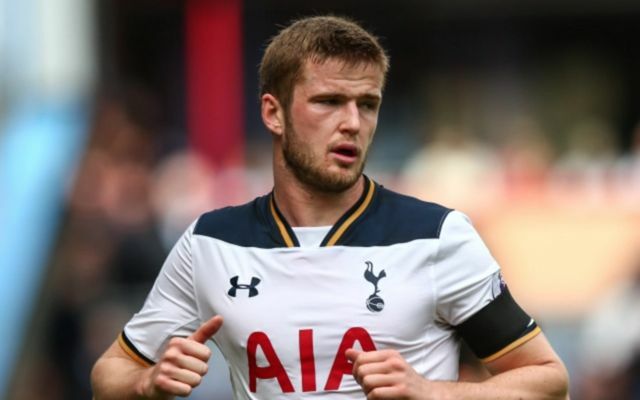 United have already had one bid for 24-year-old Dier rejected by Tottenham this summer, however talks between executive vice-chairman Ed Woodward and Tottenham chairman Daniel Levy have been ongoing, reports the Telegraph. If United do manage to secure a deal for Dier, it’ll be interesting to see how United boss Mourinho uses the England international in his side.